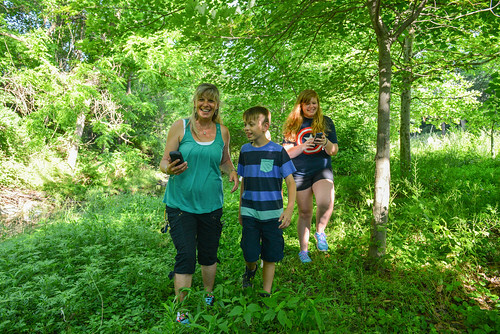 Geocaching is a family-friendly outdoor scavenger hunt using GPS coordinates to search for and locate hidden containers called geocaches. A geotrail is a series of geocaches united under one common theme. The Caching the Rain geotrail's theme is stormwater awareness. Jump below to learn how to participate or download the Caching the Rain brochure . Experienced geocachers can download the Caching the Rain passport and quickly get started on the Caching the Rain page on geocaching.com to start on the trail. New to geocaching? Start by visiting geocaching.com. Improving water quality is in your hands! 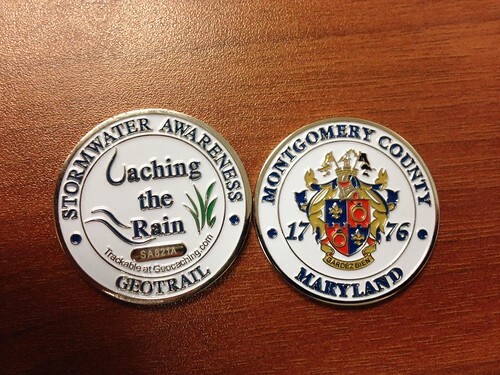 Learn more by completing the Caching the Rain Geotrail! 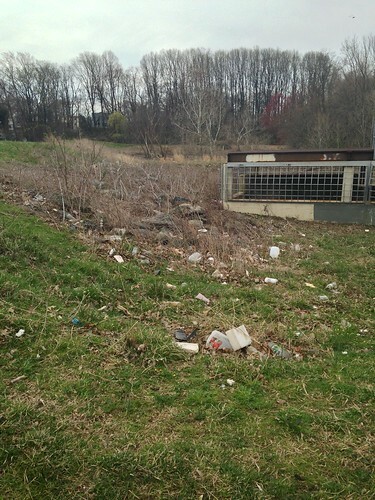 The Caching the Rain Geotrail takes you on a tour of some of Montgomery County’s stormwater management practices. There are geocaches placed nearby various practices that help improve water quality in our local streams. The geotrail was first launched on June 28th, 2014 and included 6 geocaches. A full list of sites and geocache coordinates are posted at geocaching.com . Participants, known as geocachers, use Global Positioning System (GPS) enabled devices, such as smartphones, to locate camouflaged containers called geocaches that come in a variety of shapes and sizes. DEP's geocaches will contain 4" by 2" laminated information cards with actions residents can adopt to improve the health of our streams. There will be a pencil and logbook in each geocache so participants can record their efforts and see the achievements of other geocachers. Take the Caching the Rain challenge and join the movement to reduce stormwater pollution. Download the Geocaching app or visit geocaching.com to create a free account and log your finds! Download the Caching the Rain passport (.pdf, 394KB) to record your answers to the riddles and questions inside each geocache. Visit all 6 sites and correctly answer each geocache’s passport question. Remember to log your find on geocaching.com and provide additional feedback! Check your answers online and complete a short evaluation survey in order to earn an official Caching the Rain geocoin! Details listed below. Spread the word and take action! Share your experience and knowledge with a friend, family member or neighbor. Together, we can make a difference! A trackable geocoin will be awarded, while supplies last, for locating all 6 caches and completeing a survey. To be eligible for the geocoin, geocachers must first download a passport. Geocachers must visit all 6 geocaches, read and follow each geocache’s instructions and correctly answer the question inside each cache. Questions can be easily answered using surrounding resources nearby the geocache. After discovering all 6 geocaches and recording the correct answer in the passport (.pdf, 394KB), geocachers must enter their answers directly online, and complete a short evaluation survey. Click here to input your answers and take the survey! Special thanks to the Chesapeake Bay Trust for funding support with this project and to our partners for making this program a success! Stormwater runoff is the only source of pollution increasing in the Chesapeake Bay! We need your help to reverse this trend! Stormwater runoff is the excess water that is not absorbed in the ground during a precipitation (rain or snow) event. When it rains, things like trash, debris, sediment, excess nutrients, chemicals and pollutants are carried from roads, parking lots, and rooftops (impervious surfaces) into the nearest stormdrain. Stormwater entering storm drains is typically NOT treated before it flows into our streams. Everything you see going down the storm drains flows into our streams, rivers and lakes, ending up in the Chesapeake Bay. Remember, Only Rain in the Drain! The County restores streams by installing hundreds of new stormwater management practices each year, such as rain gardens, green streets, ponds and more. The practices reduce the impact of stormwater pollution and improve our water quality. However, the County cannot do it alone. By becoming educated on what stormwater runoff is, and how to reduce its impacts, residents like you will be able to share information with neighbors and friends. The more people who know, the more we can reduce pollution and trash and protect our streams. 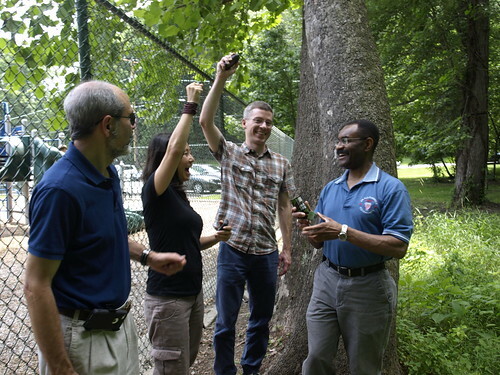 Geocaching is one of the several tools the County uses to educate the public. Learn about all of the opportunities to Protect Our Streams. With simple changes, you can help be a solution to stormwater runoff. Interested? 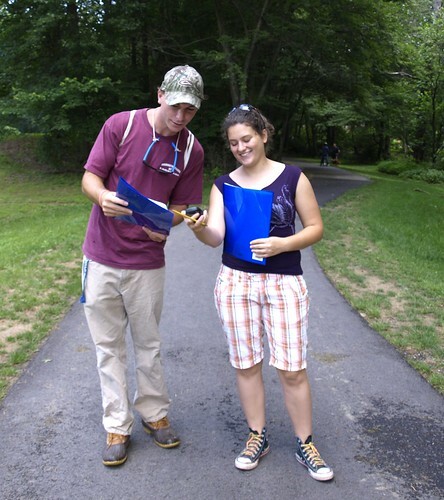 Begin by searching for and solving the puzzles found throughout the Caching the Rain Geotrail. You’ll be surprised by what you learn and how easy it is to be a part of the solution! Little by little, everyone can truly make a difference by doing their part. As a whole, we can work together to improve water quality in Montgomery County streams and within the Chesapeake Bay.